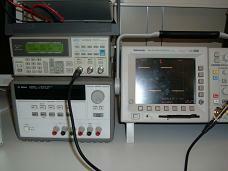 Measurement systems for industrial production and automation. The scientific coordinator of the UniSA Measurement Group is Prof. Antonio Pietrosanto. The researchers of the UniSA Measurement Group are with the Department of Industrial Engineering (DIIn) and with the Didactic Board (Consiglio DIdattico) of Electronic Engineering of the University of Salerno. Students can apply for the training period ("tirocinio") as per their degree program at the web page "Tirocini Ingegneria". 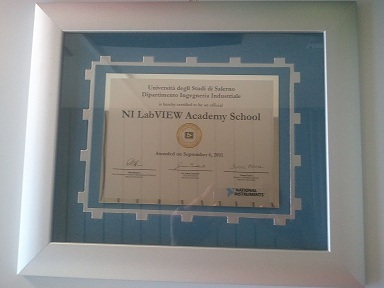 The group has been certified as a NI LabView Academy school in September 2011. 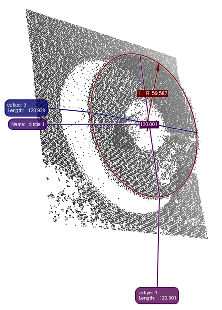 A video presentation is here (in Italian).